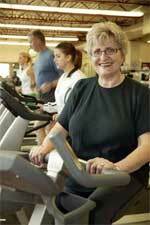 Physically active employees are happy, healthy employees with above average attendance records. An investment in the health of your staff is an investment in your company's productivity. There is no cost to join the program. Companies that are interested in participating in this program must enter into an agreement with the City of Edmonton, which stipulates a minimum pass purchase requirement. Call 780-944-7572 to register your company. Annual Membership - 20% discount on Adult and Family Annual Memberships. Continuous Monthly Membership - 20% discount off an ongoing monthly membership using our convenient Pre-Authorized Debit Program. Employees who purchase one of the options will be issued a photo access card to be swiped at each admission. Why Choose the City of Edmonton? The City of Edmonton is committed to building a healthy Edmonton workforce by providing area employers with admission incentives for their employees (and their spouses) to enjoy our popular collection of sports and recreation facilities. Attractive admission discounts, convenient locations across the City, flexible payment plans, and professional staff combined with our world-class facilities, equipment, and programs are why many Edmonton employers choose the City of Edmonton as their fitness provider. Note: Discounts are available on Bulk Single Admission purchases for Fitness Centres and Attractions including Valley Zoo, and Muttart Conservatory. *Hours vary according to facility. * Please Note: For Terwillegar Club Memberships, the club portion of the fee is not eligible for the Corporate Wellness Program. Discounts will only be applied to the All Facility Pass component of Terwillegar Club Memberships. Continuous Monthly Membership - 20% discount off an on-going monthly membership using our convenient Pre-Authorized Debit Program. *Applies to new purchase only.